Several years ago, one of my pastor friends took an interim pastoral position, and one of the first things he did was shut down their women’s ministry. Yes. He. Did. When I asked him why he felt that was necessary, he said it was because the women only wanted to socialize. He had told them that it was fine to get together, but please do some ministry work, too. Since they were not interested in ministry, he disbanded the women’s ministry. Hmmm. 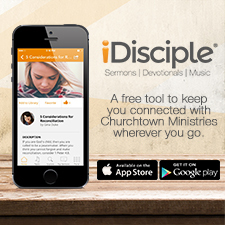 Some 15 years ago I was approached about taking an internship at a growing mega-church. I said that I would definitely be interested if I could do something with their women’s ministry team. The pastor said they no longer had a women’s ministry. How could a growing progressive church like this one NOT have a women’s ministry??? Noticing my shocked look, he went on to explain it had been disbanded because the women were only using their time together to vent about their husbands and it had created a plethora of problems, especially for their deacons. Oh! Like anything else, whether it is a workforce or team, a counter-productive culture can build without much effort really. The two scenarios that I just described are examples of where there was an ineffective leader in place or no leader in place. As women’s ministry leaders we must remember that we set the tone. We set the tone for every aspect of our women’s ministry whether we know it or not, and whether we want to or not. 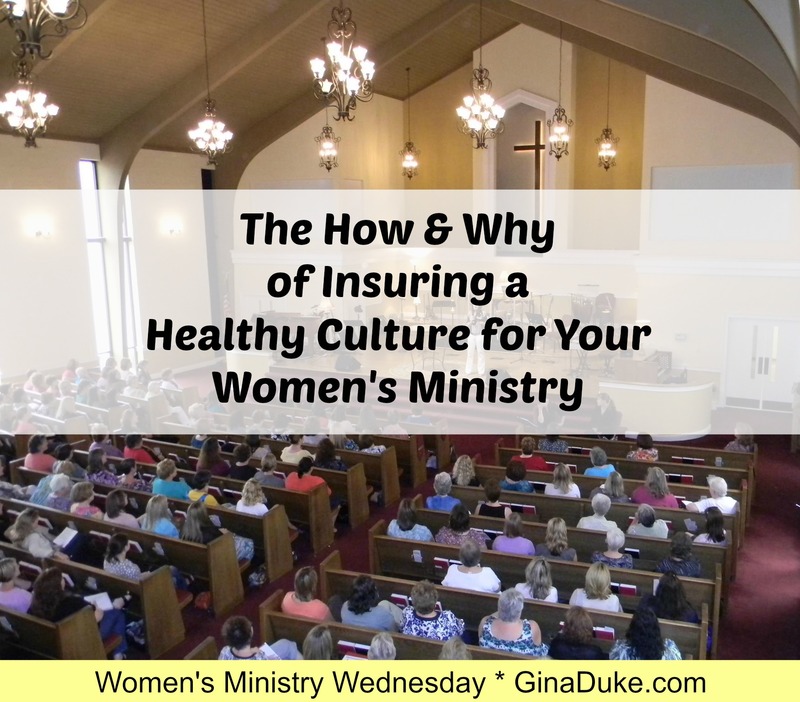 It is our responsibility to insure a healthy, God-honoring culture in our women’s ministries. Two ways we can keep our ministries from becoming a thorn in the side of the church is to provide structure and sound biblical teaching. An effective women’s ministry is built upon the vision of the church’s mission. My church’s mission is to Reach, Mature and Mobilize (that’s the short version). With that in mind, every plan I present to my staff about what we will be doing for the upcoming year, as well as every new initiative, must demonstrate how it reaches, matures or mobilizes our women. 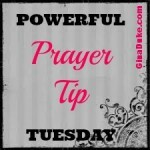 This guideline keeps me and my women’s ministry on track. Additionally, when we are passionately committed to the Word of God, it discourages would-be gossips, and the like, from rising up. When the authority of God’s Word reigns in your life it will have the ability and influence to squelch un-Christ-like behavior in your women’s ministry. Women like to get together and we especially like to get together and just talk. Because few people are geared to just get out there and minister on their own, it is important for a women’s ministry to provide well-planned opportunities for women to minister through. The first scenario I described would have been greatly helped if someone would have taken the initiative to plan an outreach event or missions project periodically. Because women like chatting, it doesn’t take much for us to veer off a healthy topic if we are not careful. One woman alone can ignite an improper discussion. Women like confiding in one another, and although bearing our souls and struggles can be comforting, it can also be destructive without proper balance. A healthy accountability ministry is one way to accomplish this because it provides a safe, confidential place for women to share their burdens while receiving godly counsel. But more than that, making Bible study the centerpiece of our women’s ministry helps everyone grow and mature in a Christ-honoring way. Am I saying that Christian women cannot govern themselves? Absolutely not. What I am saying is that ministries do not govern themselves. It is imperative that church ministries represent the church – God’s body – well. Diligent women’s ministry leaders lead healthy women’s ministries. I would love to hear some of things you do to keep your women’s ministry healthy, so please share in the comments section. Lead on and lead well! This story cracked me up, Gina! Obviously, there were things about the deacons with which their wives were dissatisfied. Clearly, the deacons and pastor were aware of this. But, rather than take it as an opportunity to learn to better love and serve their wives, they, instead, decided to shut down the women’s ministry? As though that somehow improved the marriages? Or as though the ladies didn’t have a perfect right to talk with their friends anytime they like outside the church walls? That’s crazy! Talk about ineffective church leadership! I’m not saying the gossiping and complaining was necessarily a healthy thing, but the way the church leadership chose to deal with it was definitely unhealthy! Joe, I understand your thoughts. I was sad about both scenarios, which is why I take what I do as a women’s ministry leader so seriously. I never complain about my husband to a group of women (For one he is wonderful) because it only opens the door for others to bash theirs. So, if I remember correctly, I think that was the case. They had women bashing their husbands for various reasons (sloppy at home, etc.) who were deacons to some of these other women and their families in the group. So, instead of studying the Bible or doing ministry work, it had turned into this negative weekly venting session. Maybe they did not have a spiritually mature woman to lead it, and they could not continue to provide the space and time at church for this to continue, is what I gathered. I do believe women should have a safe place to share their marital problems without being disruptive to the church. I try to make myself available for those instances, plus we have also had on-site certified counselors to help struggling marriages. I do agree that women sometimes have good reason to be upset with their husbands, but I do not agree with those moments being shared with women at large in church, regardless if the husband is a deacon or not. A wife’s “public” venting can bring so much shame and embarrassment to the husband, that he may stop coming, and I have seen that happen in my own church. I also think when it comes to women’s ministry it can get yucky for the male staff to deal with, so it becomes easier for them to just disband it. You’re dealing with other men’s wives if you address it, which can lead to a whole other level of issues you may not want to bring upon your congregation as a pastoral staff. “Women’s Ministry” has only been around in the church for the past 25 years, so it is still relatively new, and leaves plenty of opportunities for learning by trial and error, unfortunately. My goal with women’s ministry is to make it a healthy operational part of the body of Christ, so it does not bring reproach. I am highly protective of this goal, too. Thank you for bringing a guy’s perspective to this, and appreciating wives struggles in marriages. I do agree that it takes spiritually mature good leadership to appropriately deal with dysfunctional women’s ministries, and I can assure you that is no easy task. Thanks again for stopping by, and I hope you come back. Fabulous advice that needs to be heard! I especially love “We set the tone for every aspect of our women’s ministry whether we know it or not, and whether we want to or not. It is our responsibility to insure a healthy, God-honoring culture in our women’s ministries.” Praying God gives us eyes to see and ears to hear whether or not our ministries are honoring Him – and the strength to make changes if necessary. Thanks, Cyndee! 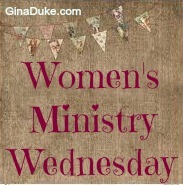 I agree with you in prayer for all women’s ministry leaders. 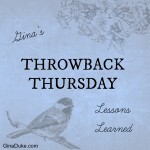 As I was reading this post, Gina, I was thinking about Joe Pote’s post on abuse in ministry. I’m not saying these women were abusing their positions, nor that the pastors were in disbanding them. But I do think “to whom much is given, much is required.” I love that you provide the ways we can change a ministry’s culture and glorify Christ in the process. Thanks for addressing these sticky issues that are probably more common than we’d like to think! Beth, I was thinking the same thing. This is probably more common than we’d like to think, unfortunately.